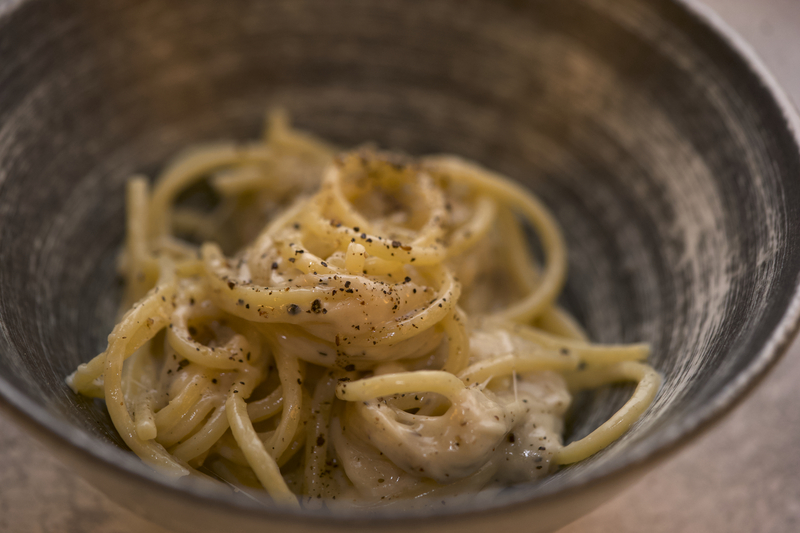 This recipe works great for both a starter and as a side dish. 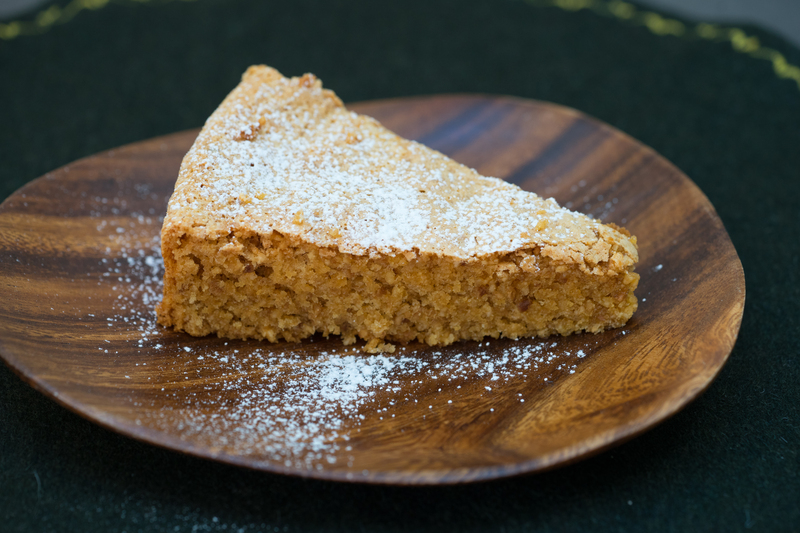 I like to make big trays of these for dinner parties so that guests can help themselves. Preheat your grill to the second to hottest setting. 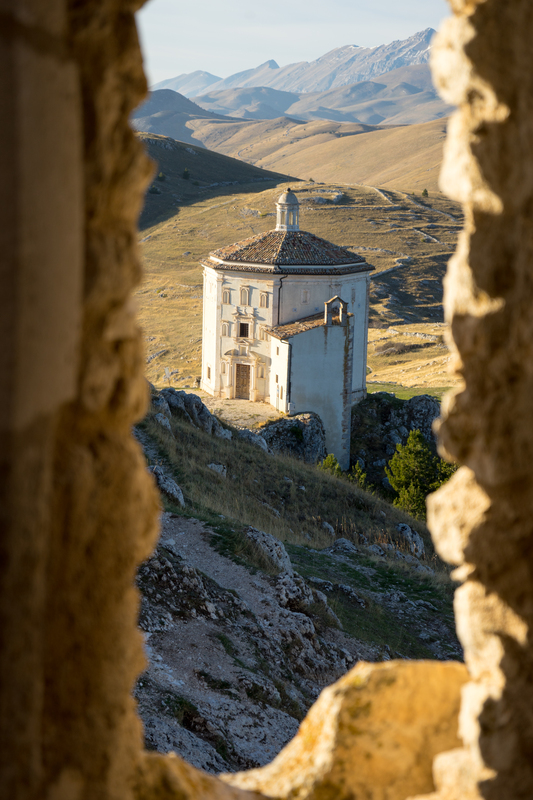 If there is only one setting, set the level slightly further away from the element. Snap off the woody base of the asparagus, moving your fingers up from the blunt end and wiggling until you find a more flexible part and then snap off the end. 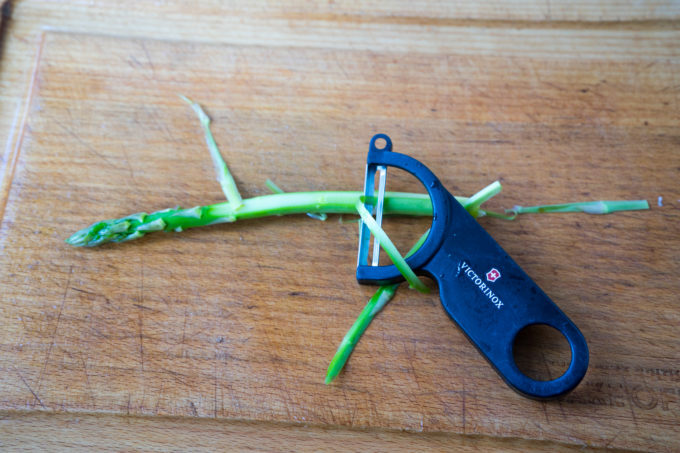 For fatter stems with more waxy skins, peel the asparagus from below the tips with a vegetable peeler. 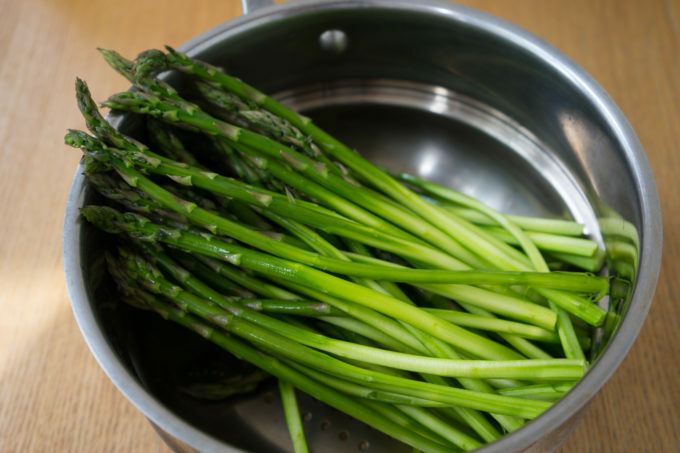 Place the asparagus in a steamer until half way cooked (up to 7 minutes for fat asparagus). Prepare a large bowl of cold water and add ice. 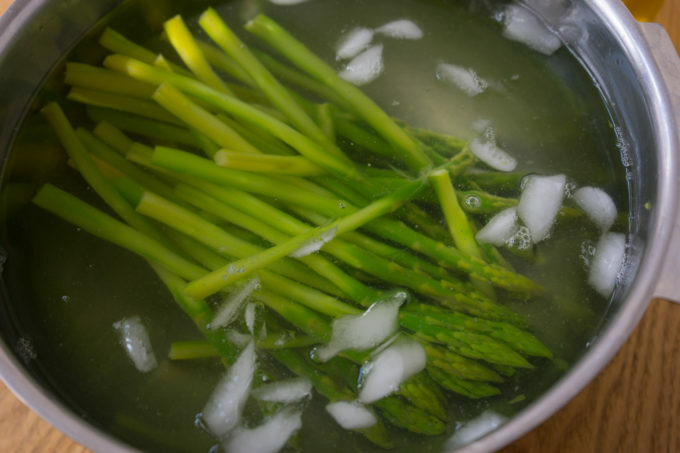 Plunge the asparagus into the ice water to stop the cooking. When cool, remove and drain fully. 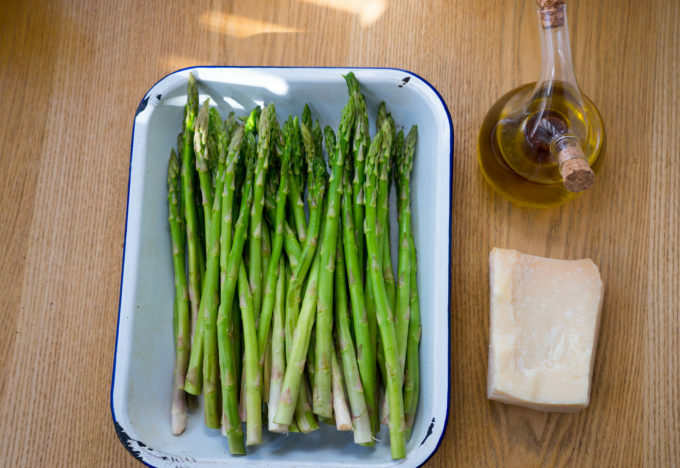 Grease a grill-proof baking tray with the olive oil and place the asparagus on the tray. 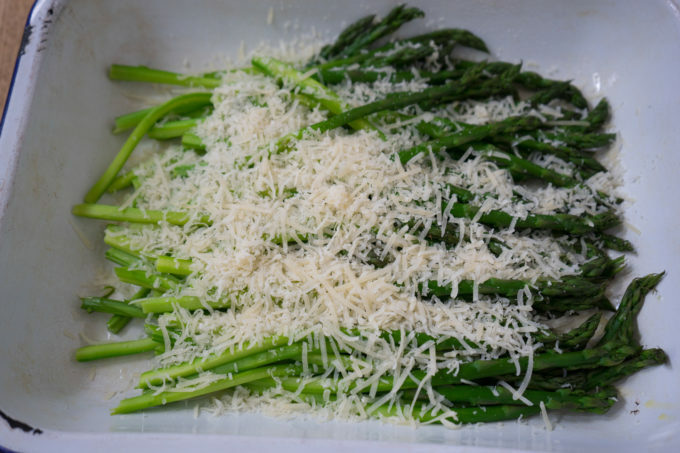 Drizzle the 20 mls of olive oil over the asparagus and sprinkle Parmigiano-Reggiano cheese over top. 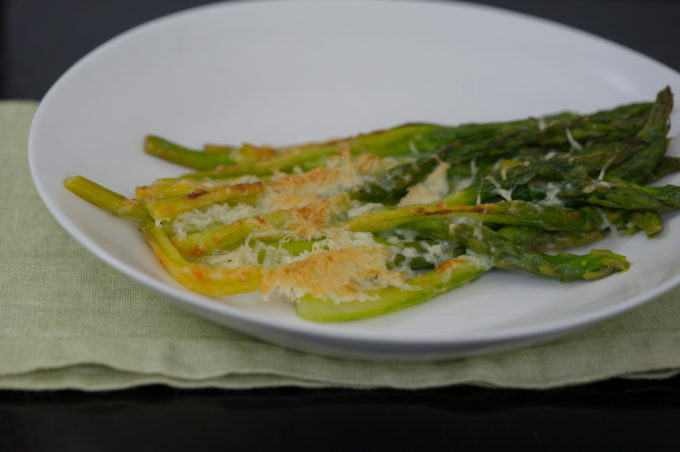 Grill the asparagus until the cheese is melted and golden, up to 15 minutes. 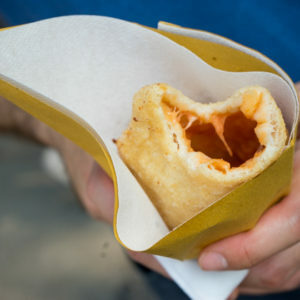 Be vigilant as the grill can easily scorch anything in seconds.